Blues Club Captain Paul Robinson and and the side’s longest-serving current player, Jonathan Spector, have leant their support to the Brum-based national charity Saving Lives in a bid to improve the second city’s health through HIV testing. More than 18,000 people in the UK are infected with HIV without knowing their status. Saving Lives promotes the simple blood test that helps people access today’s life-saving treatment. During this year’s National HIV Testing Week, and right up until World AIDS Day on December 1st, the charity is providing free home testing kits through their website, www.takeatestuk.com. The free tests arrive in unmarked envelopes and allow people to take their sample in their own time. They can then send it off to the Public Health England laboratory, and get their results back in days. 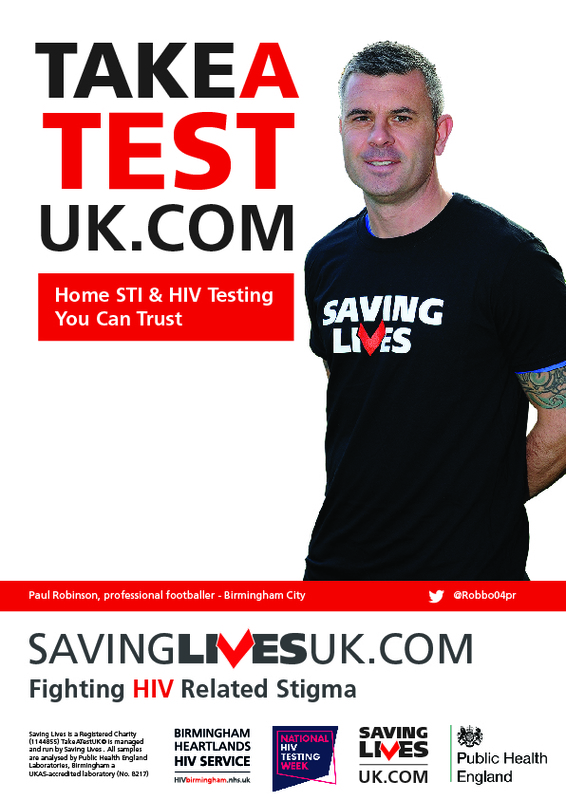 Order your free HIV home testing kit at www.takeatestuk.com using the code SAVE16.